The Madigan Foal Squeeze technique can be used to “wake up” a foal with neonatal maladjustment syndrome (NMS). The E-Z Squeeze Foal Rope is 15’ long with a leather hondo to make the first half-hitch easy to secure. Includes a laminated instruction sheet with pictures showing the procedure. ARS recommends that the treatment of foals with NMS be done under the direction of their veterinarian. This rope is also an ideal length and configuration to be used as a foal come-along rope. 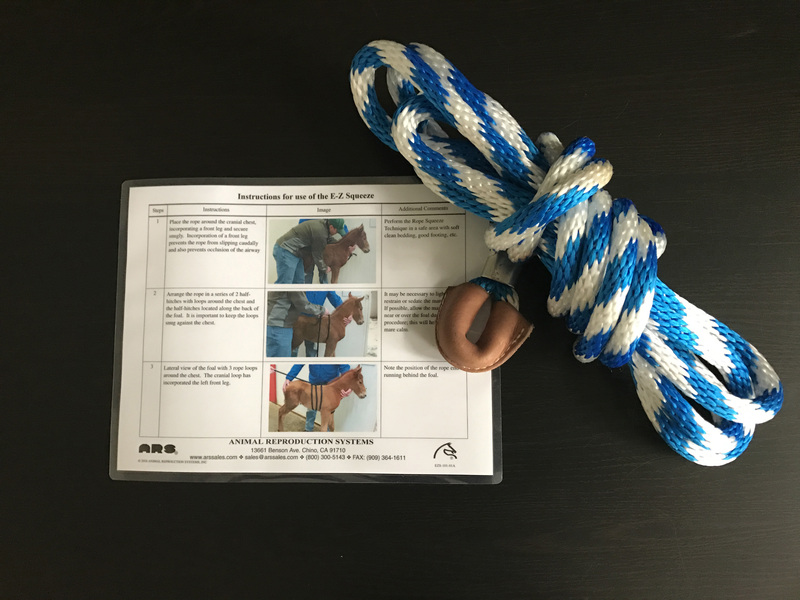 Instructional video on use of the E-Z SqueezeTM Foal Rope Kit.